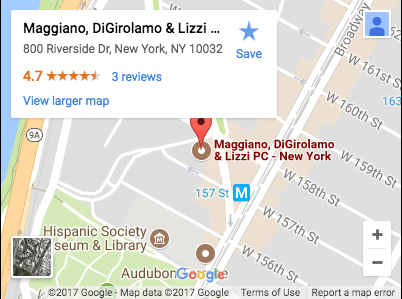 Workers' Compensation Claim Petition | Maggiano, DiGirolamo & Lizzi P.C. Employees who are injured on the job may file a workers’ compensation claim petition with the New Jersey Division of Workers’ Compensation. Issues may include compensability of the claim (whether the injury/ illness is considered work related), the type and extent of medical treatment, and the payment of temporary disability benefits. Further, a claim petition may seek permanent disability benefits and, in cases of alleged job-related death, dependency benefits. Workers are generally represented by an attorney but they may file a claim petition on their own (pro se). An insurance carrier will usually provide a legal defense on behalf of a covered employer. If you are a self-insured corporation, it is required that you or your third-party administrator obtain legal representation to defend your interests. The vast majority of claim petitions are settled by mutual agreement as to the amount of benefits due and extent of disability. In cases where an agreement is not reached, a workers’ compensation judge will resolve the disputed issues. An insurance carrier, drawing on their extensive knowledge of the law and taking into consideration all the pertinent facts of the case, can make a decision to accept or deny a claim. Stay aware of whether claims are investigated timely, whether benefits are being paid on time, and whether claims are being disputed or accepted. The employer plays a key role in working with the carrier and the injured worker to ensure that the system works smoothly and fairly.